The 25" or 30" Catrina stool has a contemporary design and provides superb back support. The frame is made from commercial quality steel that is strong and durable, and is powder-coated to ensure a long-lasting, rich finish. Our wood seats are made of 1 1/4 inch hardwood that are dished for comfort. Our cushion seats are of the highest quality as well, utilizing a breathable, commercial grade vinyl or fabric. Underneath this is 2 1/2 inches of highly-dense foam to provide maximum support. The framework itself is very sturdy, using only solid mig welds ensuring the integrity of the structure. 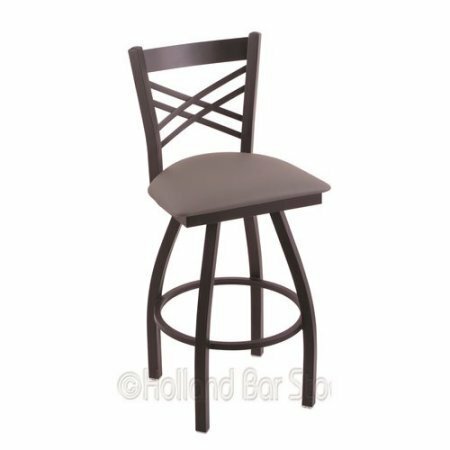 You can't find a higher quality stool on the market.